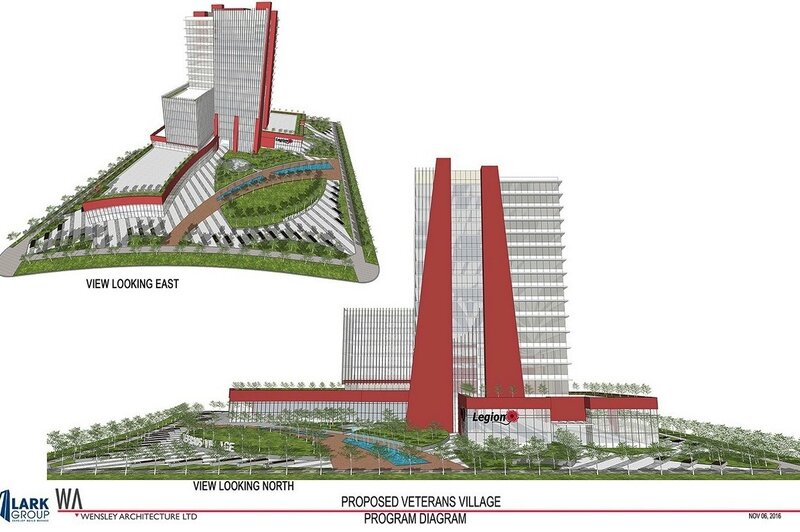 Initially announced back in the Fall 0f 2015, the Whalley Legion Veterans Village project took a major step forward today, announcing a partnership with Surrey-based developer Lark Group, to develop twin towers on the site of the existing Whalley Legion at 13525 106 Ave.
As per the news release, the twin tower project of unspecified height will be a multi-purpose facility and a centre of excellence in clinical and rehabilitation services for Veterans and first responders. It will offer a mixture of social and affordable housing, assisted living, a therapeutic centre, community gardens, research centre, and space for the delivery of health care programs and services. The news release states that the next step in the process is to work with Lark Group to finalize the scope of the project, and it is expected that site preparations and construction could be underway by spring 2017. This timeline seems ambitious given there has yet to be a development application submitted for the project, and given the time necessary to move the application through the approvals process. 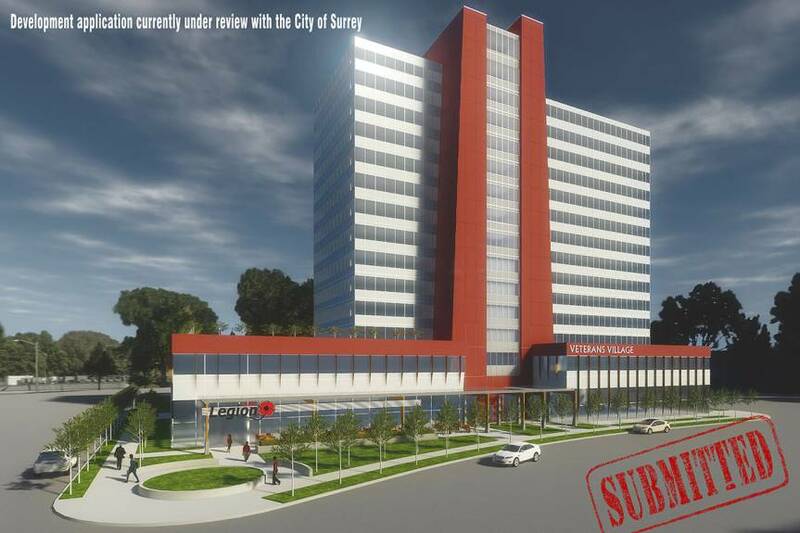 With Lark Group as the partnering developer however, the project is now very likely to move forward, given Lark Group’s experience in developing large projects in Surrey, most notably the City Centre 1 and City Centre 2 office towers adjacent to Surrey Memorial Hospital. 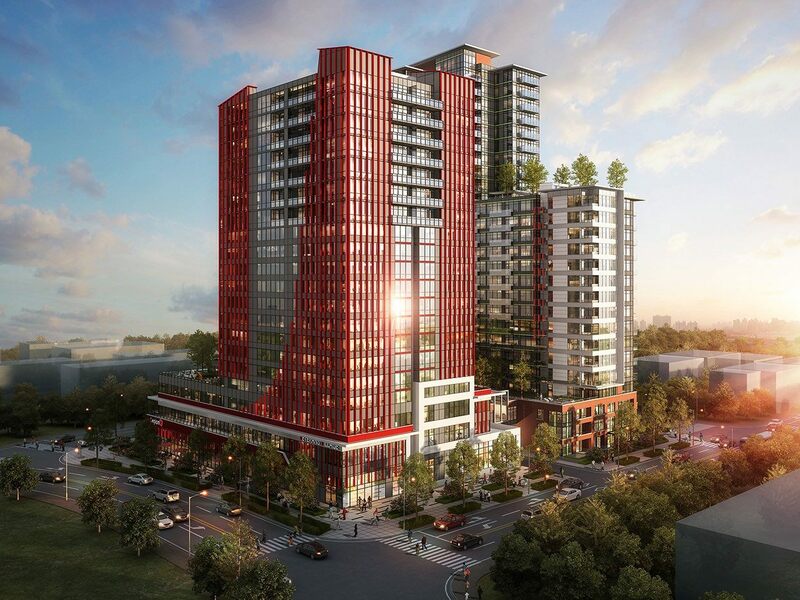 Aside from being a major redevelopment of the Whalley Legion itself, the iconic twin tower concept for the project designed by Michael Green Architecture could be a catalyst for rejuvenation of the area between 104th Avenue and 108th Avenue. 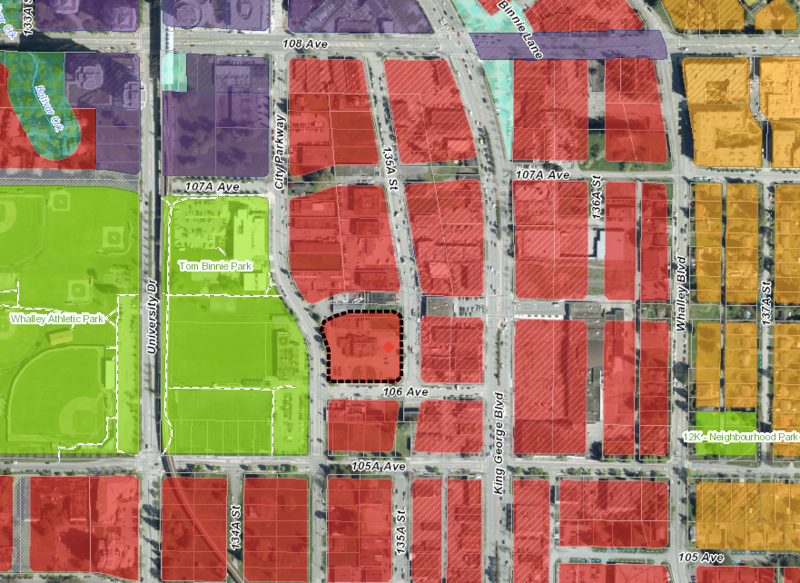 The project is located directly adjacent to Surrey’s notorious 135A “Strip”. 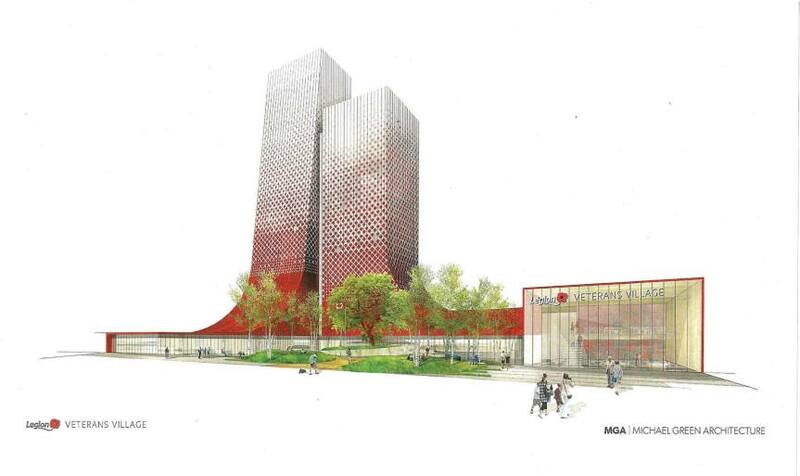 So far not many details have been released on the towers themselves, only that the design is conceptual, and that it will be greater than 20 storeys in height. 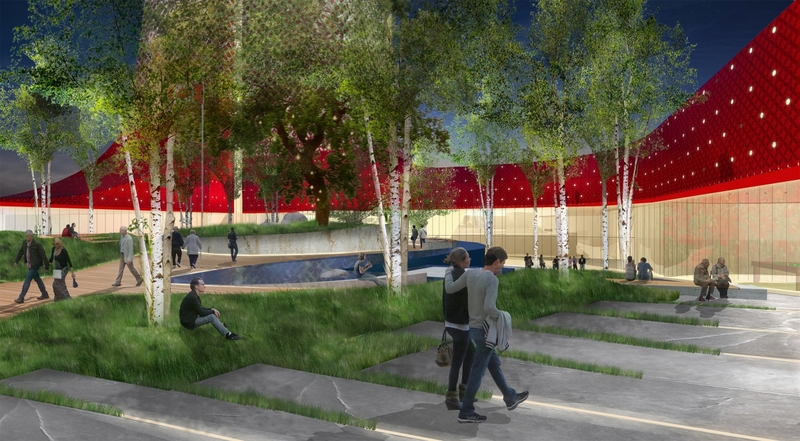 When complete, the facility will be the first of its kind in Canada.